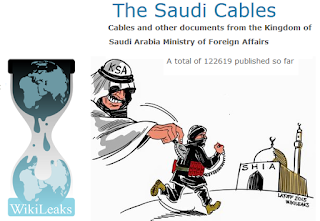 Abstract: Before WikiLeaks released the Saudi diplomatic cables in 2010, the rulers of Saudi Arabia had cultivated the image of being deliberate, moderate, and averse to confrontation. Since the start of 2011, the Saudi rulers have behaved in ways that annulled that perception. The Saudi rulers hosted the Tunisian dictator and refused to extradite him to face criminal and corruption charges, criticized the U.S. for not standing by Hosni Mubarak, turned down a coveted seat on the UNSC, sent its armed forces to crush a peaceful protest in Bahrain, armed Salafists to overthrow the Syrian government, engineered a political coup that displaced the democratically elected prime minister of Iraq--Nuri al-Maliki, and launched a brutal war on Yemen committed war crimes and crimes against humanity in the process. Days before beheading a religious leader who spoke against the oppression of Shias, the deputy crown prince and minister of war of the kingdom announced the creation of an “Islamic military coalition,” consisting of 34 countries to combat terrorism. These are not the actions and temperament of deliberate, moderate leaders. These are the actions of impetuous, nervous, and paranoid autocrats who seem to be running out of options as their internal, regional, and global allies abandon them. In order to forecast the future of the Saudi monarchy, one must understand its origins, culture, and friends and allies within and without the kingdom. Most of the territory known today as Saudi Arabia was under the suzerainty, if not the full control, of the Ottoman Empire since 1517 CE. The modern kingdom, however, has its origins in 1744, when the two Muhammads--Muhammad Ibn Saud and Muhammad Ibn Abd al-Wahhab formed an alliance to control the region near Riyadh and start their expansion to rule over almost all of the Arabian Peninsula. This alliance made the monarchical system, ordinarily frowned upon in conservative Islamic legal traditions, a viable form of government in a deeply conservative society. The second pivotal point started in 1938 after oil was discovered and the Saudi-U.S. alliance was born. This alliance, too, brought together two countries that, by most standards, reside in opposite extremes of political and cultural spectrums. The United States is a nation with a self-declared commitment to human rights, religious freedom, political pluralism, and civil liberty. Saudi Arabia, on the other hand, is a country ruled by a regime that imposes the strictest social and political codes that prohibit women from driving cars or traveling unaccompanied by a family member, systemically discriminates among people on sectarian and religious grounds, bans political protest and public dissent, and imposes a criminal justice regime that is in conflict with international treaties and humanitarian law and conventions. Yet, it is these unlikely alliances that the Saudi rulers have struck that provide the regime with relative stability at home and sweeping influence around the world. While the Saudi-Wahhabi alliance defined the religious and political character of the kingdom, the Saudi-U.S. alliance spelled out the economic and security terms that guided the kingdom’s regional and international affairs. The Saudi-U.S.alliance was built on reciprocated leverage. The Saudi regime needed stability and legitimacy given its extremist religious creed and its staggering human rights record. The United States needed a reliable source of cheap oil to power its manufacturing-based, transport-dependent economy and life style. There was also an added benefit of this unlikely relationship: the presence of a U.S. ally, like Saudi Arabia, in the Persian Gulf region limited the Soviet Union’s reach into the region. When the Soviet Union’s increased influence in the Middle East was the primary threat to U.S. interests in the region, Saudi Arabia was crucial in firewalling the Arab world against Soviet intrusion. The Kingdom used both a religious discourse that deaminized communism and dramatized the threat of socialists’ takeovers, and oil-generated wealth to buy Arab regimes’ compliance. With the exception of the pseudo socialist (or pseudo revolutionary) regimes in Egypt (during the rule of Nasser), Algeria (during the rule of Boumediane), Syria, Iraq (under Ba`athist regimes), and Libya (under Qaddafi), Saudi Arabia was able to use religion and money to keep other Arab regimes in the West’s camp. The Saudi assistance to U.S. went beyond the Arab world. The rulers of Saudi Arabia were instrumental in making sure that Pakistan was on the side of the United States during the U.S.-USSR proxy war in Afghanistan. Pakistan served as the ideological and military training ground of the Wahhabi-Salafi fighters recruited from all over the world to fight the Soviet Union in central Asia. The U.S.-Saudi alliance also allowed the Saudi rulers and wealthy individuals to build and control Islamic centers in North America and Europe and use these centers to spread Wahhabism cloaked as orthodox Sunni Islam. The presence of Saudi-linked Islamic centers explains the disproportionate number of European citizens, as opposed to Muslims from other Muslim-majority countries, joining ISIL in Iraq and Syria in the last five years. ISIL condemned Saudi religious and political leaders in its recent publication, Dabiq, NO. 13. Despite the collapse of the Soviet Union, the U.S.-Saudi alliance continued their joint efforts of undermining governments deemed unfriendly to either or both countries. To topple the revolutionary Shi`i regime that overthrew the Shah of Iran, whom the U.S. and UK intelligence services installed in the stead of the democratically elected government in the 1953 coup, U.S. administrations and the Saudi rulers worked together to instigate and support Saddam’s war on Iran from 1980 until 1988. The two governments collaborated to confront Saddam when he invaded Kuwait. Lastly, Saudi Arabia was instrumental in muting Arab opposition to U.S. invasion of Iraq in 2003. However, the outcome of the invasion of Iraq turned out to be catastrophic for the U.S and for the rulers of Saudi Arabia. One of that invasion’s byproducts was the creation of a path to political power for Iraqi Shi`as—the Iraqi majority long oppressed under the Ba`ath regime. To manage this and many other side effects of the invasion of Iraq, the Saudi rulers, first, attempted to limit the power of the Shi`as by promoting and eventually implementing a political arrangement that gave Kurdish and Sunni minorities virtual veto powers either through the presidency or the parliament that paralyzed Shia-led governments. The so-called safeguards that were said to protect ethnic and religious minorities produced a very weak government and fractured institutions that continue to threaten the territorial integrity of Iraq. Weak government coupled with instability in Syria provided the kind of environment in which Combatant Salafists thrive. In the summer of 2014, the Salafist group known as ISIL (the Islamic State in Iraq and the Levant), used the instability created by the protest movement in Sunni towns moved quickly and took over Mosul, Iraq’s third largest city, and a number of other Sunni cities and towns in northern Iraq, linking them with territories the group controls in northeastern Syria. Subsequently, the group’s leaders declared that they have re-established the Islamic caliphate and adopted the name, the Islamic State. 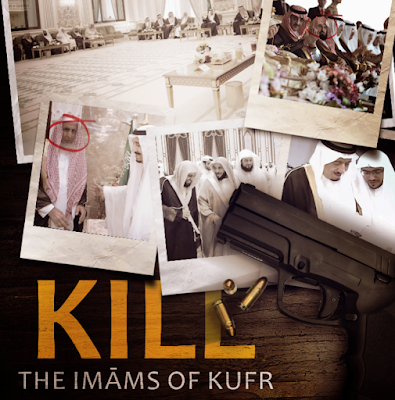 The group went on to absorb other smaller Salafi fighting groups in Syria, Iraq, Libya, Egypt, Yemen, and North Africa. Before the end of 2014, the group’s leader, Abu Bakr al-Baghdadi, condemned the Saudi regime calling it the illegitimate, infidel Salul Clan. That declaration essentially damaged the bond between Salafism and Saudi Arabia. The state of Saudi Arabia is no longer the sole protector and enabler of Wahhabi-Salafism. The illegal invasion of Iraq and the subsequent material and human cost increased Americans’ reluctance to intervene militarily, especially when there is no strategy for the day after regimes fall. Moreover, the wave of peaceful protests, popularly known as the Arab Spring, removed two of the regimes that were part of the so-called “moderate axis” and threatened every other regime in the Arab world, including the Saudi rulers. The fact that the U.S. was willing and able to let close allies, like Ben Ali and Mubarak, fall alarmed the Saudi rulers not because of perceived ingratitude to Mubarak and Ben Ali, but because they feared that the U.S. government could abandon them, too. The Iran Deal that resolved the nuclear standoff between Iran and Western powers only increased the Saudi rulers’ anxiety. However, when Wikileaks released the Saudi diplomatic cables and revealed its secret dealings, the Saudi rulers decided to take off the mask of moderation and act aggressively, assertively, and without restraint. To stay in power, and due to their peculiar alliances, the rulers of the Saudi kingdom need to pursue two paths that necessarily lead to different outcomes. They need to secure their people’s consent and international legitimacy at the same time. However, what they must undertake to appease the Saudi people, the majority of whom are by now fully indoctrinated in Wahhabi-Salafism, will necessarily alienate other Muslim and non-Muslim countries who suffered acts of terrorism perpetrated by followers of Combatant Wahhabi-Salafism. This paradox stems from the kind of arrangement the Saud clan has made with Wahhabi clerics during the formation of the Kingdom of Saudi Arabia. The Saudi rulers often accuse other governments, including the ones with a history of shared governance and the presence of democratic institutions--imperfect as that might be--of lacking legitimacy. Yet, they often reject criticism of their treatment of women, religious minorities, and lack of legitimacy as blatant interference in the internal affairs of the kingdom. They often argue that that Saudi society, due to its religious and cultural heritage, has its own form of social contract that bestows the Saudi regime with legitimacy and sovereignty. Culturally, Arab communities living in the Arabian Peninsula have generally recognized a tribal system that allows the most dominant clan to preside over all other clans granted that all other clans are represented in the advisory council, known as the shura or ahl al-hall wa-‘l-’aqd. Religiously, the Saudi form of government echoes the 7th century Umayyad model whereby the most powerful of clans monopolized political power and the institution of religious scholars, `ulamā, dispensed religious decrees and counsel to the caliph. In this paradigm, the political leaders were legitimized by the religious scholars, but religious scholars depended on the protection and patronage of the political leaders. The Saudi rulers have decided from the outset to rely on only one traditional school of thought, Hanbalism, and adhere only to the advice of the most conservative modern authorities of that school of thought, Wahhabists. Modern Saudi society has been engineered to reflect Arabic tribal culture and live by Wahhabi interpretation of Islam, which makes the kingdom very unique politically, religiously, and socially. The combination of Saudi Arabia’s economic power and ultraconservative religious discourse produced supremacist attitudes. The political and military actions the Saudi rulers have undertaken in the past five years reveal serious flaws in defining problems, understanding global trends, and designing long term strategies to reform their political and religious institutions. In order to overcome some of the existential threats to the current regime, the Saudi rulers must learn, adapt, reform, and respect their neighbors. Their actions, thus far, however, are rooted in ignorance, arrogance, and sectarianism. 1. The Saudi rulers have failed to understand that the post-digital media era is fundamentally different from the pre-digital media era. There is no amount of money that could enable any government to filter all information indefinitely. 2, The Saudi rulers want to preserve a culture and religious tradition that is in conflict with the traditions and practices of the rest of the Islamic world. The Saudi practices and the demands of the modern world are in conflict. They have to choose between being part of a diverse world and a unitary society. They cannot be part of the world and broader Islamic societies without reforming their way of life to accept other expressions of Islam as valid and to peacefully co-exist with other religious and non-religious communities. 3. The Saudi rulers want to remain relevant in the world and appear strong at home. To be strong at home, they have to live by a religious code that is shared with al-Qaeda and its derivatives. For them to earn the support of the public they have to take positions that would place them, ideologically and politically, to the right of ISIL. They understand that. That is why they beheaded 44 people in one day in the first month of 2016. That is unprecedented even by ISIL’s standards. To remain true to their religious and cultural norms, they have to maintain the theological position that the Shias are heretic, outside Islam. They understand that. That is why they beheaded the most prominent Saudi Shia on the same day they killed 46 Wahhabi-Salafi extremists. 4. The Saudi rulers want to appease their Wahhabi-Salafi religious establishment by appearing tough on heretic Shi`as. However, that same position creates problems for them with the world community. There is no place for supremacist ideas and practices in this ever more connected world. 5. Their strategy is to cloak their disdain for Shi`as in the false claim that Iran is interfering in the affairs of Arab and Sunni Muslim countries. That strategy failed since no country cut diplomatic relations with Iran on that account. Instead, the small number of countries cut their relations or recalled their diplomats to protest the attacks on the Saudi diplomatic buildings, not to protest Iran’s condemnation of the beheading of the Shia scholar. Desperately, the Saudi rulers called for emergency meetings of the Arab League and OIC to rally Muslim countries against Iran, but none of the other 57 Muslim majority countries cut diplomatic relations with Iran. In fact, even Pakistan, a close ally of Saudi Arabia for decades, offered to mediate between the two countries; it did not side with the kingdom. Frustrated by the lack of solidarity from some Arab countries, the rulers of Saudi Arabia rescinded a decision to gift Lebanese military security agencies four billion dollars and threatened similar actions against other governments that threaten “Arab unity”, which meant not going along with Saudi directives. These actions backfired, prompting Morocco to refuse to host the year Arab League summit, citing discord and lack of consensus among leaders. In the end, the Saudi rulers’ current strategy for staying in power is doomed to fail because it is built on too many contradictions. The harder the Saudi rulers work to appease the Saudi people at home the harder it becomes for them to convince the rest of the world that they are inclusive, non-sectarian, and serious about fighting terrorism. The anti-terrorism law the late king laid out in March 2014 was a cover for persecuting, and prosecuting peaceful dissenters. The law equated between a blogger who raises awareness for social justice and a genocidal fighter who sees himself in pursuit of a divine mission to purge the world of all who are not true Muslims. Similarly, the “Islamic military alliance to fight terrorism” will fail once its members realize that the Saudi rulers want to use it as a cover to pursue a sectarian agenda and an attempt to legitimize their rule within and outside the kingdom. The rhetoric of “hazm” seems to be directed at the Shi`as. The Saudi military forces avoided any level of confrontation with al-Qaeda and ISIL fighters in Yemen. In fact, since these groups did not exist in large numbers in Yemen before Saudi Arabia had begun its bombing campaign, and since they are now in control of a number of Yemeni cities and provinces, it stands to reason that the Saudi air force provided the cover and support to insert those groups in southern and eastern Yemen. The Saudi rulers’ actions in the region, their attempt to create coalitions of Islamic nations to define and confront terrorism, and the increased reach of Combatant Wahhabi-Salafists lead to the conclusion that the future of Islamic thought and practices and welfare of Muslims is at stake. The link between the brand of Islam that is espoused by al-Qaeda and its derivatives and that which is taught and practiced in Saudi Arabia is established beyond any measure of reasonable doubt. That version of Islam is a frozen reconstruct of some practices and thought from the eighth and ninth centuries. 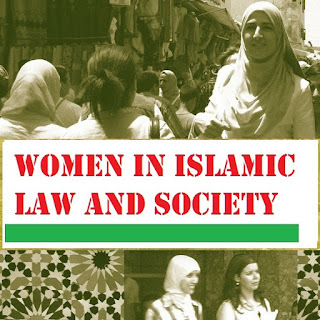 The religious clerics of that brand of Islam do not distinguish between the immutable theological creed and the circumstantial political and legal enunciations. Simply put, the Wahhabi-Salafi interpretation of Islam is not compatible with other expressions of Islam, including the teachings of Sunni Muslim jurists of Malikism, Hanafism, and Shafi`ism. Should Sunni Muslims allow the Saudi rulers and their Wahhabi-Salafi muftis to define Islamic orthodoxy and orthopraxy, Islamic thought and practices will be rendered incompatible with international law treaties, universal declarations, and the requirements of modern life in this increasingly interconnected and interdependent world. This is not to suggest that Wahhabi-Salafism should be outlawed or eradicated because suggesting so will be an affirmation of al-Qaeda’s and its derivatives’ practices. Freedom of thought, conscience, and worship guarantee everyone, including Wahhabi-Salafis, the right to believe whatever religion or interpretation thereof they wish to follow. Indeed, if Saudi Arabian society wishes to believe and practice only Wahhabism, then the Saudi people should be able to do so, as long as they refrain from imposing their beliefs on others by force. Muslim communities, especially the Sunnis, must challenge the Saudi rulers’ attempt to project themselves as the defenders and exemplars of true Islam, because Wahhabi-Salafism hardly represents historical Islam that inspired the Islamic civilization. Muslim scholars must speak clearly and forcefully against the teachings and practices that are abusive to human dignity. Sunni Muslim scholars, especially, must speak against the genocidal practices that have taken many lives and endangered the wellbeing of millions more, in their name.